Corey is the one who takes care of your every need. He is there before you arrive and well after you depart. He is a master at building your confidence and helping you land your big fish. Your mate and deckhand on the Distraction is Corey. 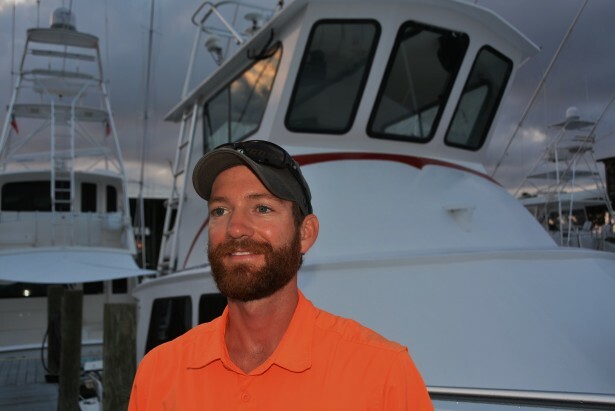 Corey was raised since early childhood on the Alabama Gulf Coast. He is a native of Starbuck, Minnesota. Corey has worked with us for the past three years, while attending college full time and raising a family. He is now a licensed, certified elementary school teacher. You will not find any other mate in Orange Beach more knowledgeable about family fishing. He is especially professional and loves kids. He is a pleasure to be around and everybody always tells me how great a guy he is. He is a soft spoken young man who has a wealth of information about deep sea fishing to share with your family and kids. He doesn’t mind you or your kids asking him a million questions either. He is an excellent musician (guitar, bass and drums) but I am not sure if he sings or not, but that boy sure can play. Corey is married to Jordan (Captain Troy’s baby girl) and they have a 4 year old daughter, 1 year old son and another child due September 2018.